Wales is a perfect destination for a Welsh two night mini break. Each venue giving you a peaceful place to sleep after a busy day of sightseeing and taking part in activities. Wales has many attractions across the wonderful country. Enjoy a day out at the Welsh Mountain Zoo or the Manor House Wildlife Park, each offering you great experiences of some of the world’s most exotic animals. 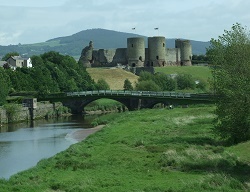 Exploring the rich heritage of wales is a busy day out on its own, numerous castles and monuments are positioned around the country along with many tourist guided walks that will give you a real insight into the area. We all know that exploring and sightseeing can be tiring, so what better than staying locally and making your two night mini break an ideal destination after your busy day. Locally produced fantastic food is available with the option to relax in the swimming pool and Jacuzzi and reflect on your fact finding day. The history of the original manor house dates back many centuries. Jane Seymour and Catherine Parr, two of Henry VIII’s wives stayed in the building in the 16th century and some say that their spirits live on. The building remained as a privately owned manor house and farm until the 20th century when it was converted into a hotel. Parts of. . .